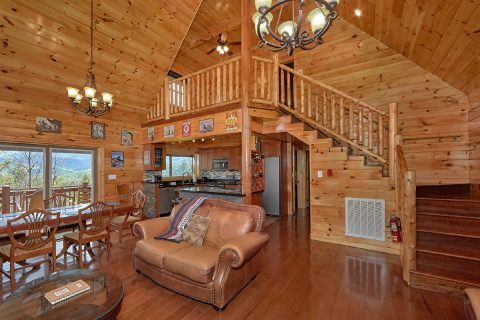 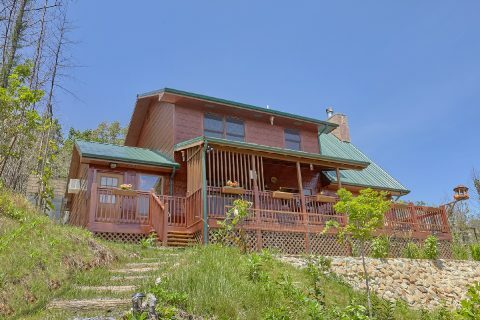 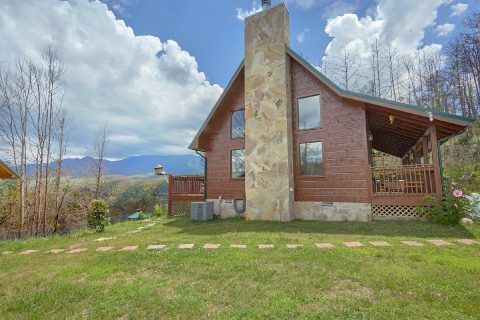 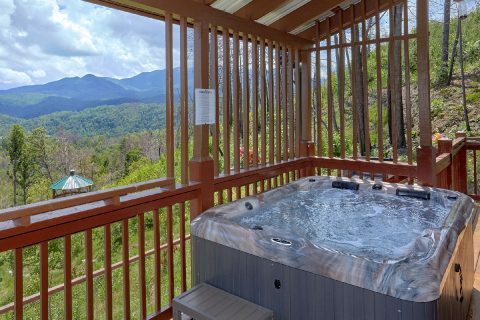 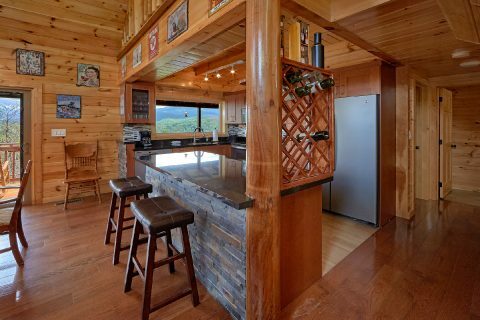 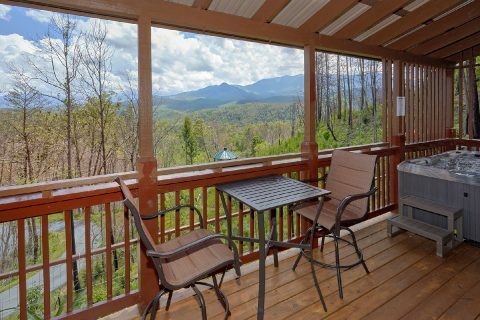 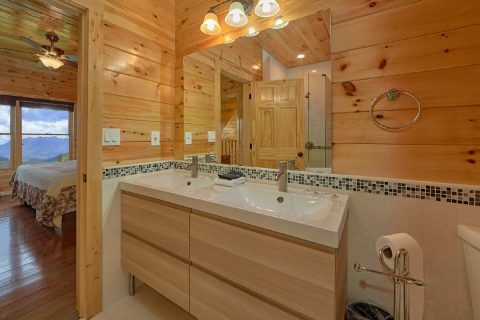 Located only 2 miles from the heart of Downtown Gatlinburg, you'll find a luxury cabin with everything you need for an unforgettable stay in the Smokies! 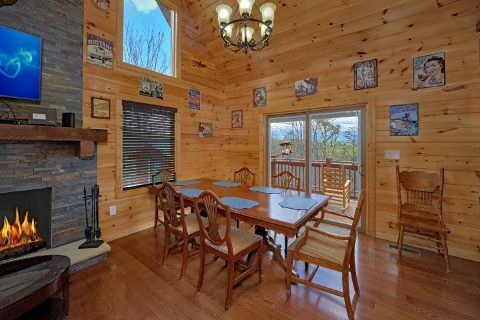 "Charming Charlie's Cabin" boasts a great mountaintop location that provides guests with excellent mountain views to enjoy during their stay! 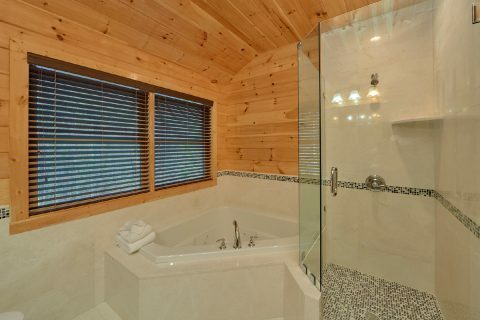 Just imagine kicking back in your cabin's hot tub while you watch the sunset. 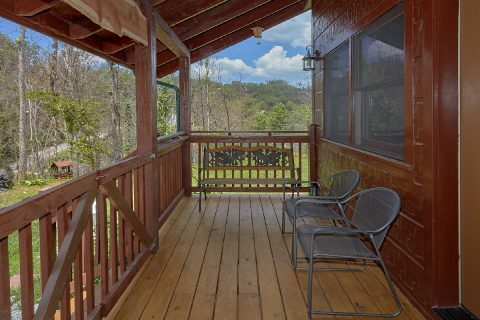 Additionally, this cabin's deck is ideal for enjoying the beautiful nature that surrounds your cabin. 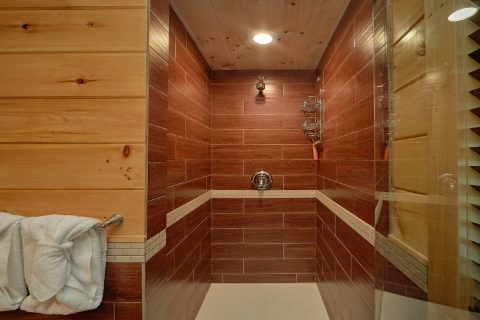 Indoors, you'll find even more ways to relax. 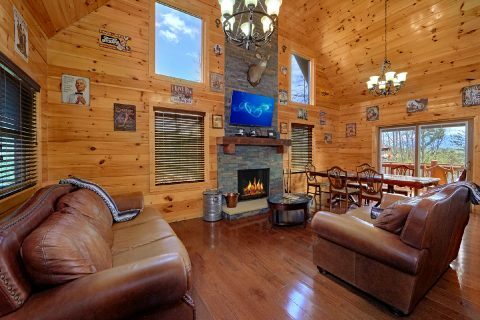 In the main living area, everyone can gather around the wood-burning fireplace to enjoy each other's company. 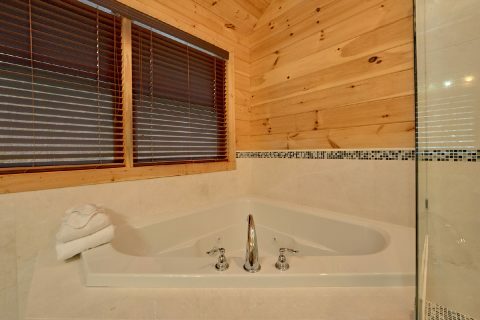 For relaxation in privacy, this rental also provides a jacuzzi tub for guests to use. 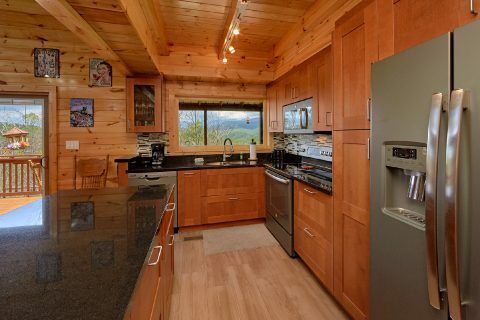 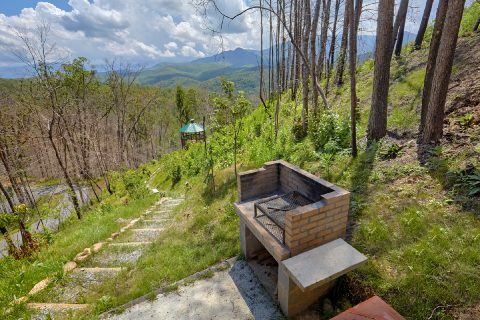 While this rental is only minutes away from tons of dining options in Downtown Gatlinburg, guests can also make use of this rental's full kitchen and charcoal brick grill during their stay. 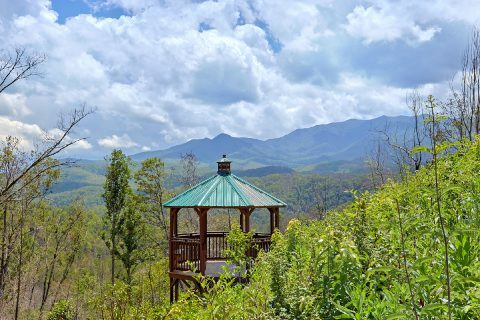 There's also a nice gazebo in the yard that overlooks this cabin's beautiful views. 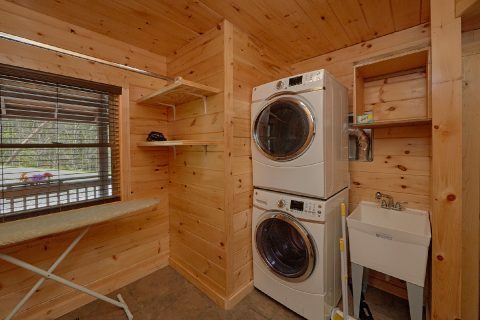 Lastly, this rental comes complete with practical additions like WiFi Internet and a washer/dryer. 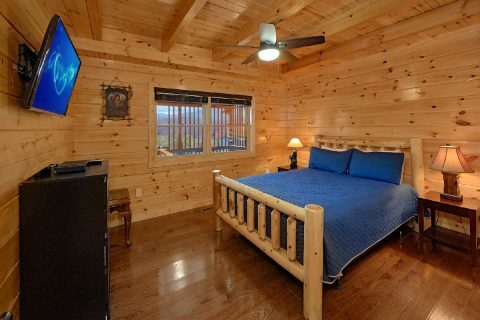 For staying well-rested on your vacation, this cabin provides a king bedroom, a queen bedroom, and a sleeper sofa in the loft. 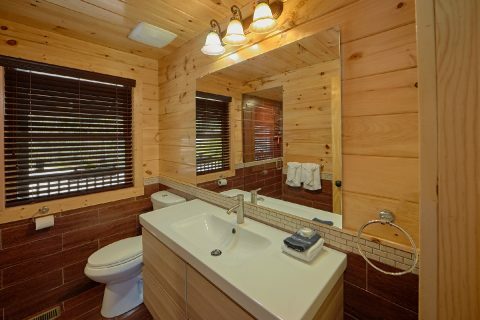 Your rental also provides stylish modern bathrooms complete with custom tiled showers. 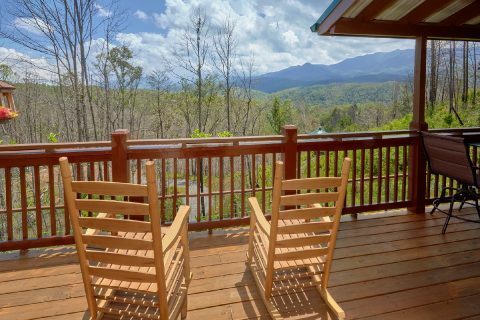 When you aren't kicking back at your cabin, you'll love exploring the best that Gatlinburg has to offer. 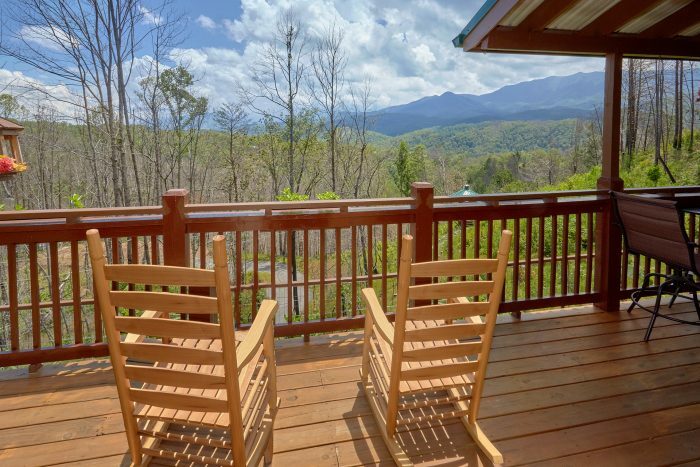 Top local sights like Ober Gatlinburg and Ripley's Aquarium of the Smokies are only a short trip away and several entrances to the world-famous Smoky Mountains National Park are also nearby. 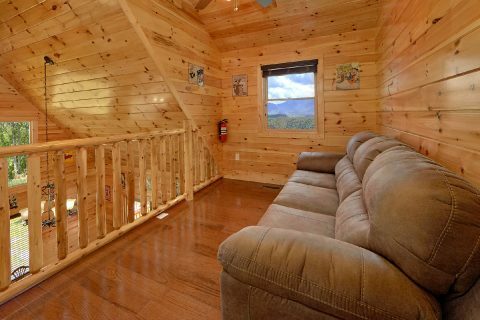 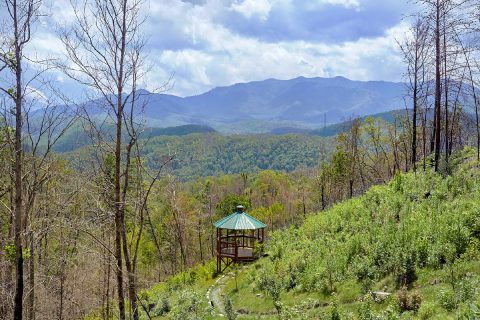 The Sugarlands area, The Roaring Fork Motor Trail, and the Greenbrier area of the national park are all only a short trip from "Charming Charlie's Cabin." 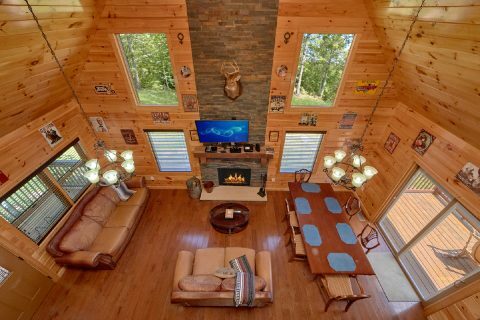 Best of all, you can enjoy a luxury cabin experience for a fraction of the cost with our special cabin discount! 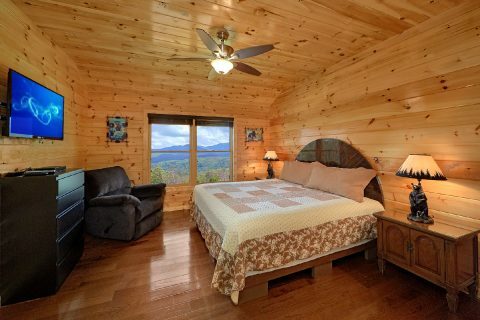 Reserve this cabin online today with Cabins USA Gatlinburg to save 15% on your nightly rate!